Lots of odd "suicides" lately. Rarely if ever...anybody who deserves it...IYKWIMAIKTYD! He had an equal chance of "just falling down dead", as to killing himself. People do "just die" sometimes. 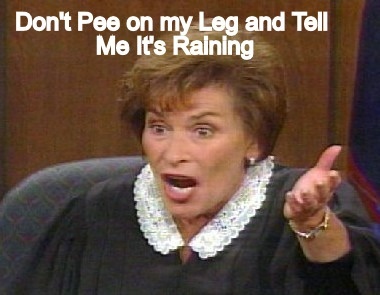 Please don't piss on my shoe and tell me it's raining, yah? One recent "suicide" was the result of multiple blunt force injuries, and there have been others under not-quite kosher circumstances. For instance, how exactly does one hang himself until dead from a doorknob? Or shoot ones self with a pistol or nailgun...with the non-dominant hand?